. You must be the change you wish to see in the world.
. Everything that is really great and inspiring is created by the individual who can labor in freedom. The greater danger for most of us lies not in setting our aim too high and falling short, but in setting our aim low, and achieving our mark. 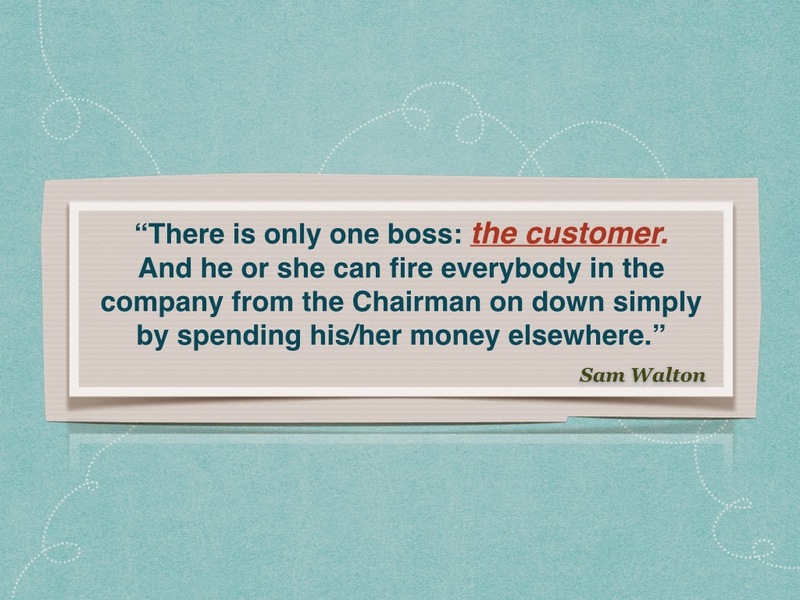 The customer rarely buys what the company thinks it is selling him/her. It is only the end of the beginning. . . While it is nice to be important, it is more important to be nice . . .
A true leader has the confidence to stand alone, the courage to make tough decisions, and the compassion to listen to the needs of others. He does not set out to be a leader, but becomes one by the quality of his actions and the integrity of his intent. The most difficult thing in the world is to know how to do a thing & to watch someone else do it wrong, without comment. Eventually every theory of the business becomes obsolete and then invalid. Who wins at Amazon? Explorers & Pioneers. Who fails? Those who focus on killing our competitors.